Shops and services nearby in the town of Contres including supermarket and schools. Quiet . . . This elegant 3 bedroom house has plenty of living space, including a conservatory with great . . . This elegant 3 bedroom house has plenty of living space, including a consevatory with great . . .
Lovely 3-bed house, sold furnished, with great views situated 1km from the town centre of St . . . This character house has 2 bedrooms and a small enclosed garden laid to lawn. In the very . . . 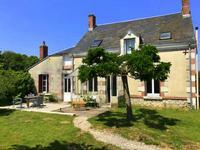 Elegant 2-bed house with 3 B&B rooms/gîte, between Montrichard & St Aignan, Loire Valley, Centre 41. 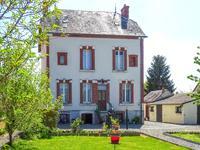 This elegant and quirky 2-bed house with 3 B&B rooms /gîte is ideally situated for the . 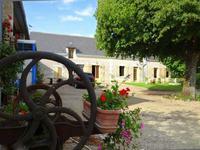 . .
Beautiful water mill 3/4-beds,, 5 B&B rooms, 2 gîtes, heated pool, amazing views! Nr Montrichard, Loire Valley, Centre 41. 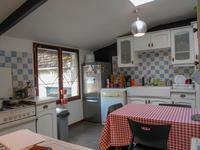 This amazing property has private living accommodation, 5 guest rooms with lift access, . . . This one bedroom house with garden in in the centre of a pretty village has great potential - . . . This lovely character property has been converted into a surgery with the possibility of 4 . . . This lovely character property has 2 bedrooms and is in the heart of a pretty village near St . . . 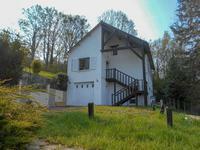 Spacious detached 3-bed house, potential gîte/apartment,, near Contres, Loire Valley, 41. This beautiful home has 2 ground floor bedrooms and shower room plus potential to easily . . . 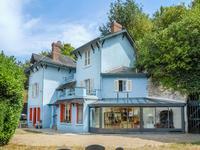 Luxury residence 5-beds, indoor pool & games rooms, near Blois, Loire Valley, Centre, 41. Stylishly restored winemakers’ property from 1900s with a touch of luxury! 5 bedrooms, indoor . 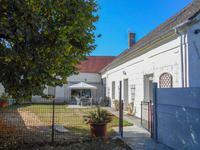 . .
4-bed house, excellent location, rental potential, large gardens, Montrichard, Loire Valley 41. Detached 4-bed property with excellent potential and lovely gardens. Well situated in quiet . . . 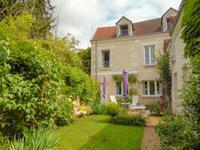 Character stone cottage, 4/5 beds, gardens, outbuildings, close to town centre, Contres, Loire Valley 41. This lovely stone cottage has 4/5 bedrooms and plenty of living space. Siuated just 1.3km . . . 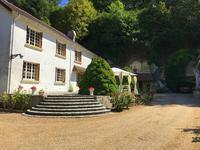 Character troglodyte house with 2/3 bedrooms, pretty gardens, quiet lane, nr Montrichard, Loire Valley, Centre, 41. Lovely unusual property with plenty of character, unoverlooked, and situated at the end of a . . .
Gîte potential 2 houses with 2/3 beds, separate gardens, village nr Montrichard / St Aignan, Loire Valley, Centre 41. These 2 character properties are side by side with excellent potential to have a gîte. . . . Character renovated stone cottage, 3 beds, and garden. Pretty village nr Montrichard, Loire Valley, Centre 41. Stone cottage with 3 bedrooms and garden with views across the fields. Recently renovated and . 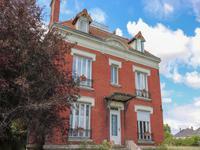 . .
Brick-built bourgeois house on village green, near the Loire valley. Private, 2.5 acres of land with gîte and pool potential. Villa Marie Georges is a beautiful, well-proportioned 5-bedroom family home with period . . .
4 bed town house, garden, large garage, centre of St Aignan sur Cher, Loire Valley, Centre, 41. Beautiful 4 bed town house in the heart of St Aignan with river views. Pretty garden to the . . . 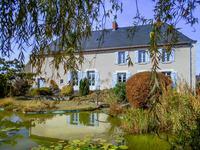 This elegant stone house has 5 beds, beautiful garden, views over the river Cher, garage and . . .
Modern detached 4 bedroom house, garden and sunny terrace, Romorantin-Lanthenay, Centre 41. This modern single storey house has 4 bedrooms, garden, sunny terrace and large garage. The . 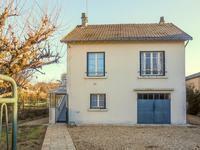 . .
Charming 3 bedroom village house in Chatres sur Cher. Centre, Loire et Cher. 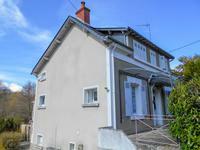 Charming 3 bedroom village house in Chatres sur cher Centre, Loire et Cher. Summer kitchen, . . .